It's not always easy to find the "bad apple." Are your business processes perfect, or could you improve them? In an ever-changing world, nothing stays perfect for long. To stay ahead of your competitors, you need to be able to refine your processes on an ongoing basis, so that your services remain efficient and your customers stay happy. This article looks the FOCUS Model – a simple quality-improvement tool that helps you do this. , and it is widely used in the health care industry. The model is helpful because it uses a team-based approach to problem solving and to business-process improvement, and this makes it particularly useful for solving cross-departmental process issues. Also, it encourages people to rely on objective data rather than on personal opinions, and this improves the quality of the outcome. Follow the steps below to apply the FOCUS Model in your organization. , where 80 percent of issues come from 20 percent of problems. This is why identifying and solving one real problem can significantly improve your business, if you find the right problem to solve. According to a popular analogy, identifying problems is like harvesting apples. 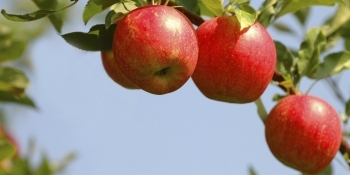 At first, this is easy – you can pick apples up from the ground and from the lower branches of the tree. But the more fruit you collect, the harder it becomes. Eventually, the remaining fruit is all out of reach, and you need to use a ladder to reach the topmost branches. Start with a simple problem to get the team up to speed with the FOCUS method. Then, when confidence is high, turn your attention to more complex processes. Bataldan, P. (1992). 'Building Knowledge for Improvement: an Introductory Guide to the Use of FOCUS-PDCA,' Nashville: TN Quality Resource Group, Hospital Corporation of America. Schiller, M., Miller-Kovach, M., and Miller-Kovach, K. (1994). 'Total Quality Management for Hospital Nutrition Services,' Aspen Publishers Inc. Available here.